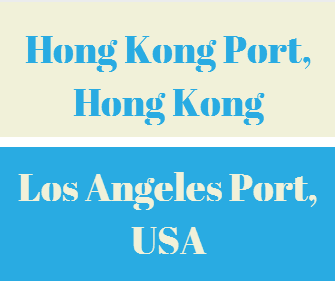 What is the transit time between Hong Kong Port and Los Angeles Port? China and USA are the top exporting and importing countries of the world, respectively. These two export-import giants are trading huge amounts of goods annually. Interestingly, some of the Chinese goods are coming from Hong Kong to USA under re-export activities. For this reason sea transportation between Hong Kong Port and American Ports have reached very high volumes. What is the importance of Los Angeles Port for the cargo vessels that come from Hong Kong? 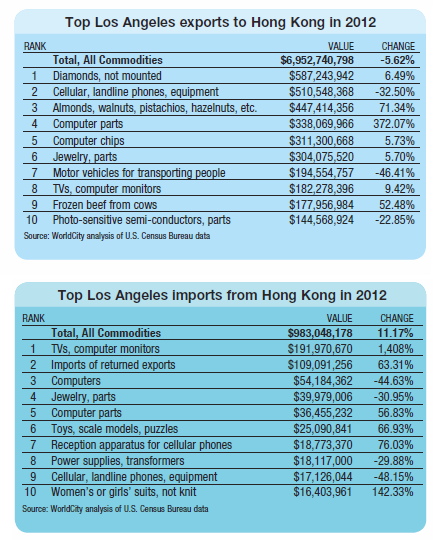 Hong Kong is the 10th top trade partner of Los Angeles custom district as of year 2012. In year 2012, Los Angeles custom district created 7.92Billion USD value international trade with Hong Kong. How long does it take for a container vessel to come from Hong Kong Port, China to Los Angeles Port, USA? Today I would like to explain the transit time between Hong Kong Port, China and Los Angeles Port, USA. Hong Kong is one of the busiest and most efficient international container ports in the world. It handled 22.4 million TEUs of containers in 2013. The port provided about 380 container liner services per week connecting to about 550 destinations worldwide. Now let me try to show you the transit time between Los Angeles Port and Hong Kong Port via different container liners as belows. What is the transit time between Hong Kong Port and Los Angeles Port via China Shipping? China Shipping follows Hong Kong Port, Yantian Port, Kaohsiung Port, Keelung Port and Los Angeles Port route with its own contair vessels. Transit time between Hong Kong port to Los Angeles Port is 15 days via China Shipping. Maersk follows Hong Kong Port, Yantian Port, Xiamen Port and Los Angeles Port route with its own container. 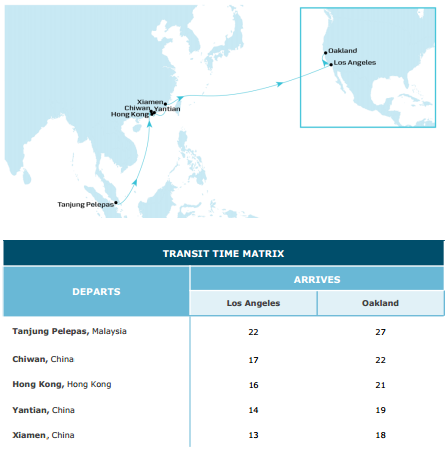 Transit time between Hong Kong Port to Los Angeles Port is 16 days via Maersk.